The JM Internet Group is announcing a no cost review program option for its latest workbook. The Group's newest book by author Jason McDonald is an in-depth look at personal branding online for job seekers and career-builders. One need not be a professional reviewer to get a copy; one needs only to have either a personal website or Amazon account. With the book unique in job hunting books available online, the Group decided to announce a limited review copy program for interested readers. Persons who would like a no obligation, zero cost version of the book are urged to visit the website to get a copy of the book while supplies last. Offer is limited to residents of the United States of America. "This workbook is a new endeavor for us, outside of the corporate marketing area for which we are well-known," explained Jason McDonald, director of the JM Internet Group. "Persons who are actively job-hunting as well as those who would like to know how to build a strong personal brand, online, to assist in their careers are urged to get a copy of the book as a reviewer. One need not be a professional reviewer to get a copy; one needs only to have either a personal website or Amazon account." To access the application form for a review copy, please visit https://www.jm-seo.org/lp-job-search-review-copy/. 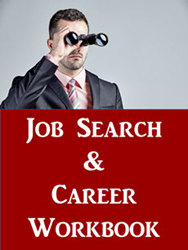 A direct link to the Job Search and Career-building workbook on Amazon can be found http://amzn.to/1UcRWoi. For more detailed information, interested parties can also browse the book's page at the JM Internet Group website at https://www.jm-seo.org/books/job-search/. With the book in its first edition, Dr. McDonald is hungry for honest reader feedback about the book. The book is designed for both active job seekers as well as those folks who already have a job, but are building their career. Its focus is on the relatively new area of personal branding online, with both an emphasis on minimizing negative information about oneself online and a positive emphasis on creating and nurturing a positive brand image through blogging as well as Facebook, LinkedIn, and Twitter. The topic of 'search engine optimization' for personal branding is discussed, in-depth, as is the issue of social media marketing for individual job seekers.